Assuming that you are one of those who rely on YouTube to listen to your favorite musics or "listen to" the vioce of interesting videos (some people just want to know what the video is talking about and don't care about the video itself), you might have experienced a time when you need to get occupied with another app while also listening to the music/video on YouTube using your iPhone or iPad. You might have noticed that while playing a video on YouTube, if you lock your iPhone or press the Home button, the music or video stops. That's because playing Youtube music/podcasts/audio files in background is restricted for the users who are not paying subscribers of YouTube. This thing breaks the flow and is a big trouble. 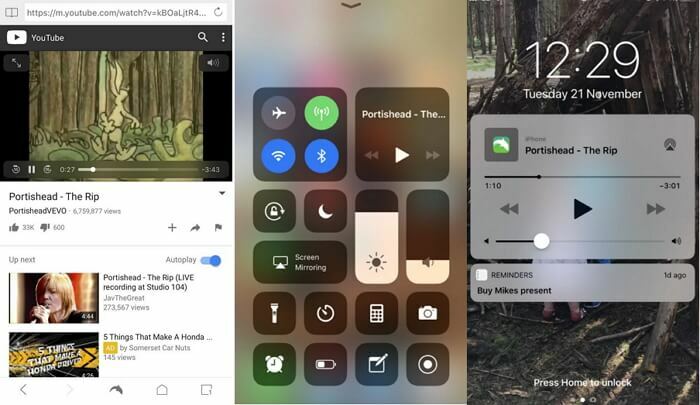 To play uninterrupted Youtube videos in background or with screen off , you are lucky to find this article and I will offer 4 efficient ways to enable Youtube playing in background and on locked screen of your iPhone/iPad. 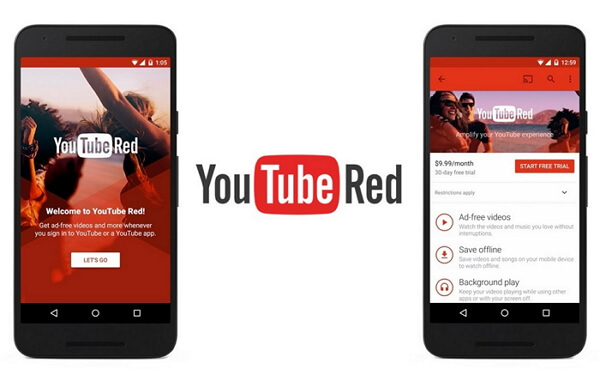 To fulfill the need of listening to YouTube with screen off or in background, the first way you can try is subscribing to the YouTube Red service. This service offers background audio feature as well as gives users power to download videos so that they can enjoy it offline. The service also takes charge of removing the unwanted adverts. 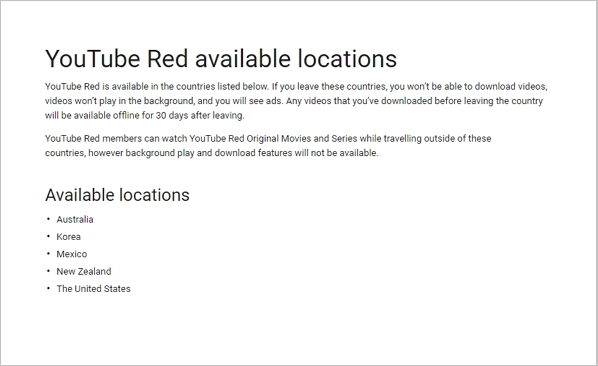 Therefore, the first suggestion would be joining YouTube Red if you wish to keep YouTube playing in background. However, the people in most countries are not lucky enough to enjoy this feature since it is available in only several countries listed below. If you are not in the countries listed, just check the other solutions. If the above way didn't suit you and you find it not appropriate, another way we would recommend is using a browser. You will need to use a web browser other than Safari to play YouTube in background on your iPhone. 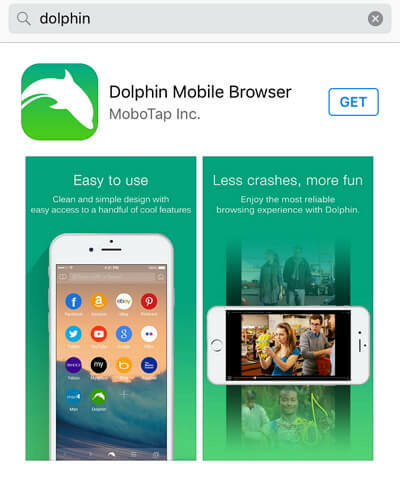 Therefore use some other browsers such as Dolphin, Mercury, Opera Mini, or Opera Coast and here we are taking example of Dolphin Mobile Browser. The steps on how to use Dolphin are very easy and I will explain below. Open the browser Dolphin and visit the website of YouTube. Look for the video you wish and play it afterwards. After this, click the Home button and you will notice the audio getting stopped while coming to the Home screen. Now, go to the Control Center of your device by swiping up the screen from the bottom. There will be the name of the video you played a little ago in the "Now Playing" widget. Along with this, you will observe a Play icon. Tap on the Play icon and the audio will begin even when the screen is locked. So, this is a free and easy way for playing Youtube in background or listening YouTube with screen off in the iPhone or iPad. Another way to listen to YouTube with screen off or play Youtube videos in background is using a third party tool. There are many choices for you, such as Musi, YTB Player, ProTube, and more. Here are the steps on how to use YTB Player. Step 1 – Go to the App Store and search "YTB Player" there. Install it from there for free. If there is no this app in your country, just search it in Google. 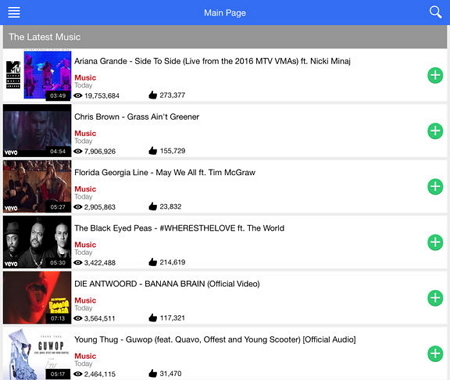 Step 2 – Now, open the app and you will get a list of newest music. Step 3 – If you wish to play something specific, you can touch on the magnifying glass icon located at the top right and then type what you want to search. Step 4 – You are also allowed to search for videos or playlists as well as create your own playlist with the help of green colored plus icon appearing tight of the video. Step 5 – Now, begin to play the video and press the Home button and you will find YouTube playing in background on your iPhone or iPad. The last way we would suggest you to listen to YouTube with screen off or in background is downloading the preferred video or music with the help of a YouTube downloader. There are many free Youtube downloader online and you can try a online service Y2mate for the purpose. It is a quick video downloading online service which is compatible with a number of video formats like 3GP, MP4, FLV, M4V, WMV, MP3, WEBM and more. This can also help the users in converting videos from various sites to MP3 or MP4. You can download unlimited videos and that too for free. It promises a high speed video converting process. There is no need of registration before using. Visit the video website from where you want to download the video. Copy the link of the video and paste it here on the Y2mate website. Hit on "Start" to initiate the process. Pick out the audio/video format you want and hit on "Download" button to start downloading.